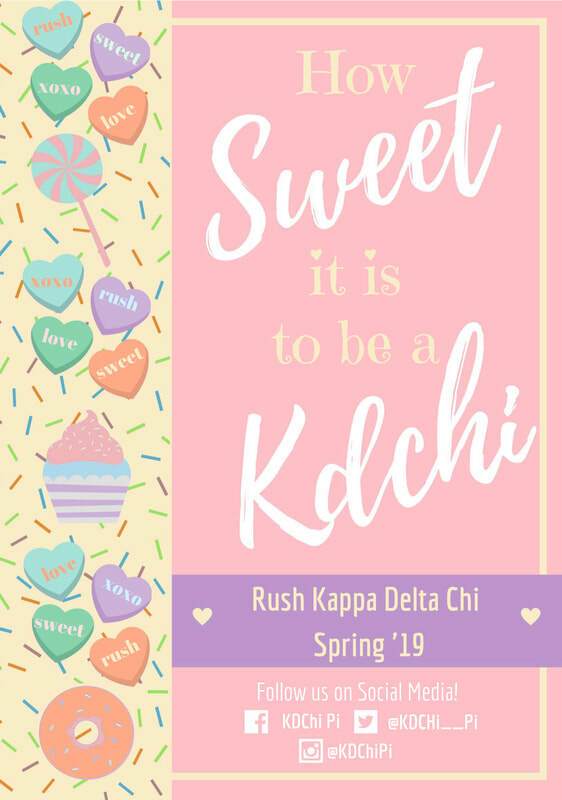 Spring '19 Rush - Kappa Delta Chi, Sorority Inc.
All Rush events are free and open to any girls interested in KDChi. We encourage you to attend as many events as you'd like. Our Spring '19 Rush Chairs are Michelle Duran & Nadjaliette Hernandez. 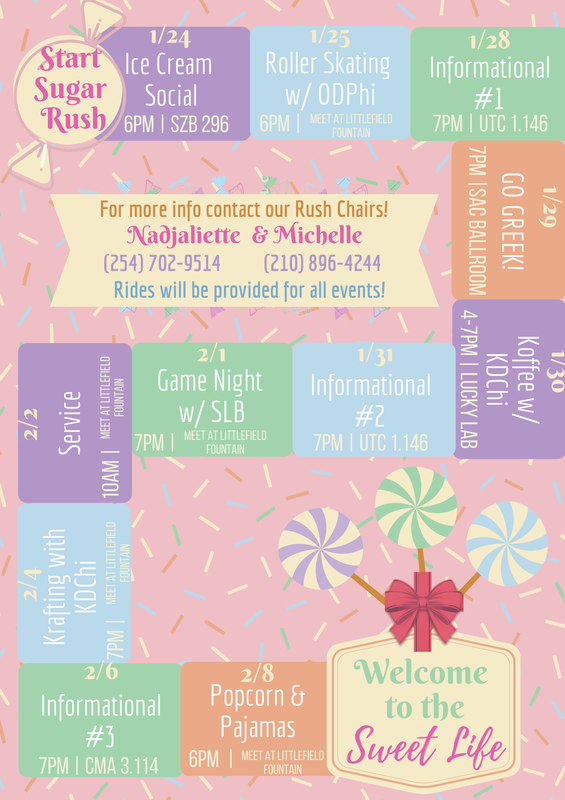 Please contact them at Pi.Expansion@kappadeltachi.org if you have any questions or need a ride to any events!